If you're looking for an economical wagon with an emphasis on safety, features, fuel-economy and true off-road ability, the Outback is pretty much your best bet. Subaru outback: pros and cons of mine. It drives great in any condition including snow. Very comfortable. Very easy car to drive with great gas mileage. I've got leather interior but the either has those pin point holes in the leather. I would never buy a car with that kind of leather again. Food, etc. Gets stuck in those holes and can be impossible to get out. Other than that, I really like the interior. My mats are rubber which is great when you have kids. Lots of room in the cargo area! Love that. When the car was at 68, 000 miles, a head gasket blew which ended up costing me $3000. I had always heard people say that Subarus were such great cars. Never anything wrong. Not so with mine. When I bought the car used in 2014, my son was 3. So I made sure that the child safety lock was on in the back. Well, once he turned 5&1/2 or so, I wanted to unlock that so he could get himself out of the car. It was stuck. It wouldn't unlock. I put up with it for another year or so but got tired of that. It cost me $200-300 to get that fixed. The last problem I want to mention is that for the last year or so, a few lights on the dashboard are on. Those are: "cruise" blinks, "brake" blinks, "check engine" is on solid, "traction" is on solid. Occasionally they all go off (all at the same time) for a few days to a week but inevitably they all (at the same time) come back on. I am choosing not to do anything about it. I cannot afford to fix it. I happen to know another Subaru outback owner that is having a similar problem with dashboard lights but also with her nav screen/radio/back up camera. When I get another car, it will not be a Subaru. My Subaru has lots of personality & is more dependable than any man! My Subaru outback is perfect. The bigger 3. 6 engine has a lot of get up & go so I feel safe on the highway with bigger cars. The size of my car is just right. I have my dog in the very back most of the time behind the dog cage I installed when I bought the car. The leather interior is soft but sturdy. The red color is fun but rich looking. I love my sunroof which is open most of time. My car is great on gas. I have 73,000 miles on it & have had no problems at all. I have all weather tires on it. The one drawback about the Subaru heard was they can hydroplane in wet conditions. I have never experienced this. So far I have lived 4 years in the high country of Colorado w it & now 3 years in Florida with it. I love it! 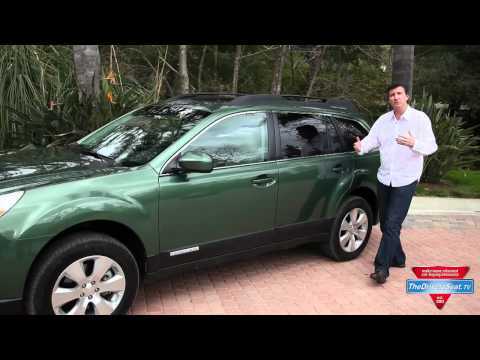 Subaru Outback is a fantastic family car!! Safe and easy to drive!! We really love our Subaru Outback! It is a fabulous family car, very safe and roomy for our family of four. I love the hatch back and the fact that the back seats fold down to allow more space for groceries, strollers or even my sons bike is great! It is all wheel drive so it handles really well in slick or wet road conditions which makes me feel safe when I have my two kids with me. The gas mileage is pretty good too since my husband travels a lot to work. The only negative thing we have experienced with this vehicle is the sunroof leaks when we first bought it, but it was easily fixed when they replaced the rubber seal. Other than that this is a excellent car! A must buy for family’s!